Our experienced trainers have delivered over 100 training workshops over a 10 year period. As specialists in surface water managing, we provide a unique insight to the industry. We can provide training to companies in relation to SuDS, flood risk and contaminated land. Our experienced trainers have been involved in the delivery of over 100 training workshops over the last 10 years. 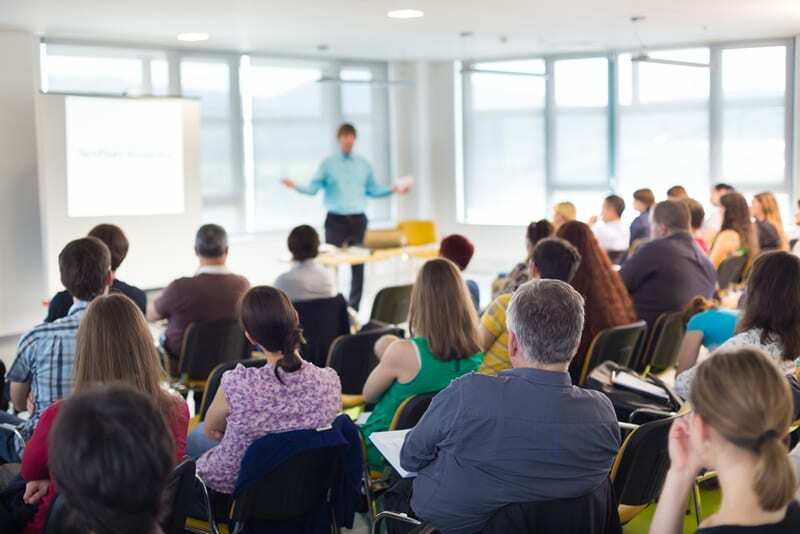 We work with our clients to ensure that workshops and training sessions are designed to engage the delegates, encourage interaction, and ensure that the delegates achieve the key learning objectives. As industry leading SuDS specialists we form an integral part of the CIRIA SuDS training team, delivering training courses throughout UK and Ireland. Our training can be delivered in house or as open delegate courses. Anthony McCloy is Managing Director of McCloy Consulting Limited and Chartered Engineer. Anthony’s work to date includes analysis of drainage catchments and design of drainage systems using various hydraulic modelling packages. His experience includes details analysis of flood risk areas and development of innovative solutions encompassing sustainable catchment management, sustainable drainage, and natural flood measures (NFM). He has also been responsible for development of Culvert Guidance and SuDS guidance for Local Authorities. As a leading specialist in the field of Sustainable Drainage, Anthony has been delivering SUDS training workshops since 2006, and Anthony is a regular speaker at industry seminars and conferences. Francis McAuley is an experienced Hydrogeologist, specialising in geo-environmental investigations, contaminant hydrogeology, and groundwater resource assessments. Francis has delivered training workshops for geo-environmental data management and analysis software to consultants working within the industry. Francis has a key expertise in groundwater flow modelling and contaminant fate and transport modelling. He has been responsible for undertaking detailed modelling studies using a range of software tools including MODFLOW, MT3D, and Consim. Paul Singleton is a Chartered Engineer, joining the team in 2010. Paul took a sabbatical to carryout development work in Africa, which involved the delivery of key water schemes, an experience which has provided him with a unique perspective on the industry. Paul’s key experience is in the fields of sustainable drainage, flood risk investigation and pollution control. He has delivered workshops to Local Authorities, Contractors and Consultants. He has in depth knowledge of regulatory and industry requirements including; CARs (Scotland), NSTS for SuDS (England) and GDSDS (Greater Dublin, Ireland).